The one thing about this vehicle is that it does not have cruise control! I bought my car used with approximately 51, 000 miles on. It has been very reliable mechanically. I have never had any problems starting it or driving it. Only routine maintenance has been required to keep it up and running. My biggest complaint about the car is that it is not particularly "fun" to drive. . . It does not have very much power and so it does not accelerate quickly or go exceptionally fast. . . The suspension is kind of lose and even though it is a 6 speed manual transmission, it is not really very sporty. But overall I think this is a decent vehicle for the price you pay. So I would rate it as a 3 on a scale from 1 to 10. 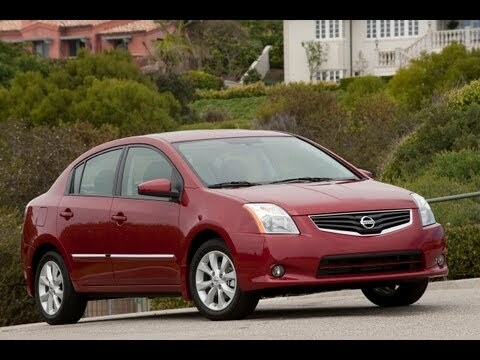 Nissan Sentra, the vehicle known for reliability. I bought my Sentra 2 years ago from Milton Martin Honda in Gainesville, GA used but in good condition, I have changed the tires 1-2 times had all oil changes done on time, changed the driver side strut, and now working on the mass air flow sensor wiring. This car has been great as far as performance I really hate the color which is white but to buy a used vehicle at such a great price and the car still be in the great condition that I bought it in says a lot for Nissan one of the most reliable I have bought. I would not go back and change my decision and would recommend this car to anyone. Great turn radius for all your U-turn needs. I have had my car for about 4 years now. The only problems I have had were the exhaust rusting apart twice, and I had to replace the gas door, otherwise nothing. I get great gas mileage on rural roads, even better on highways. The car is roomy, but small enough that it does not feel huge. It has a great turn radius and I love that. My car still runs great, I change oil every 5, 000 miles, so I keep up with maintenance. Easy to change oil. Only thing I really do not like about it is the radio console. Just wish it were more updated, but it is still a good one.